Arianne recently interviewed Kate Gordon, one of Tasmania’s most well loved storytellers, about her life as a writer and the publication of her new book, Girl Running, Boy Falling, a brave and heartfelt exploration of teen suicide that contributes to the breaking of persistent taboos around the nature of suicide and mental illness. 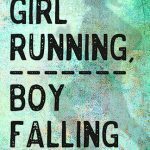 Where did the idea for Girl Running, Boy Falling come from? I’ve lost some really good friends – and incredibly beautiful people – to suicide. So many young people I loved – and who I thought I knew really well – were hiding so much pain; too ashamed to talk about it, even to their best friends. It makes me so angry and sad that there is still so much stigma and misinformation attached to mental illness; so many misconceptions about what “sort of person” takes their own life, and why they do it. I wanted to write a book addressing some of those misconceptions, as well as the negligent and ill-informed ways that the issue is often dealt with in our society. It’s a cliché but, if this book helps one kid to know they’re not alone, I’ve done my job. I began to conceptual process for the story in 2016, after the passing of another good friend. It took about a year to write the first draft, and then another year working with my brilliant editor to make sure it was telling the story in the real and responsible way I wished to tell it. Usually, I write my books very quickly, but I took my time with this one. I needed to get it just right. I hope I have. I’m was so lucky that Rochelle Manners, Publisher at Wombat Books and Rhiza Edge, saw something in this story and believed in me from the beginning. her confidence in me gave me the confidence to take risks with this story and I’m so grateful she helped me to get it out into the world. Do you think a lot about your characters before beginning writing, or do they grow out of the writing process? The character of Wally came to me first, and he was very much based on a real person, who I loved very dearly, so I felt like he came to me fully-formed. Funnily enough, Resey – the protagonist – too a lot longer to come up with. I wanted to make sure she was a complete character, too, and not just a conduit to tell Wally’s story. It took me a long time to properly “see” her. Once I realised that she had her own complicated backstory, involving her parents, her story took on its own dimension and she started telling me about herself. That was the point when I realised I actually really loved her, and that this was every bit as much her book as Wally’s. Can you tell me about your writing process? How many drafts do you do? As I said, usually I draft very quickly and then spend a lot of time editing. I usually start of with a tiny spark of an idea and just see where the story takes me. This process was different. I lived with the character and the story for a long time before I started writing. I also had to revisit my hometown and talk to old friends about their experience of our hometown, growing up and now. By the time I started on the first draft, the story was complete in my head. That almost never happens! Often, I have to redraft from scratch, but doing it this way allowed for much more rigour in the editing process. My editor, Emily, and I were able to concentrate on much more fine-tuning and making things “perfect” to the vision of the story. I’m so grateful to Emily for all her wisdom and creativity in the editing process. It wouldn’t be the book it is without her. What is your preferred time of day to write? Before having my daughter, it was first thing in the morning. Now, it’s during school hours and whenever I get a spare five minutes! 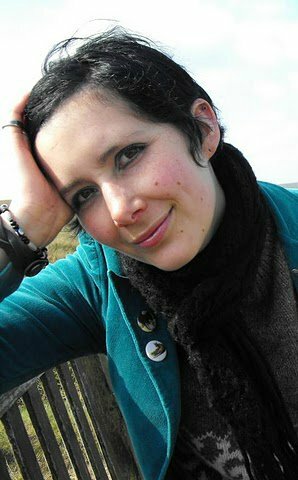 I took four-and-a-half years off my career to be a full-time mum, but I still did write during that time (it helped me keep my sanity!). I got very good at writing in five-minute bursts, whenever and wherever I could! Where do you write? Describe your space. What are the best and worst things about being a writer? There are no worst things. I never lose sight of how privileged I am to be doing this job. I get to spend all day imagining. There is no better job in the world and I am well aware of how fortunate I am. The best thing is working with talented people to craft my messy story into something real. So many people work so hard to make a book a reality, from publishers to editors to cover designers to typesetters and printers, and then distributors and booksellers. So many people working on something that started with a hazy idea in my head … that’s enormously humbling and also kind of magical. If you weren’t a writer, what do you think your career would be? Well, I’m actually a trained librarian and I love that job, too. If I couldn’t be an author or a librarian, I think I’d love to be a perfume maker! I really love making my own perfume at home and I think that would be such a fun job. Who are some authors you admire? SO MANY. I’m a voracious reader, so this list could get ridiculous if I don’t actively keep it short. To help with that, I’m going to stick with Australian women authors (because we get far less attention than our male counterparts). And I’ve deliberately excluded picture book authors, because that would be a whole other (long) list. So here is my (not-comprehensive-at-all) list. Tansy Rayner Roberts, Rivqa Rafael, Stephanie Gunn, Jackie French, Nansi Kunze, Nicole Hayes, Anita Heiss, Ambelin Kwaymullina, Rebecca Lim, Maxine Beneba Clarke, Emily Gale, Emily Conolan, Bren MacDibble, Allison Tait, Ellie Marney, Penni Russon, Rosanne Hawke, Lora Inak, Randa Abdel Fattah, Lisa Limbrick, Aleesah Darlinson, Alyssa Brugman, Anne Morgan, Julie Hunt, Shirley Patton, Deborah Kelly, Alice Pung, Krissy Kneen, Leonie Norrington, Lois Murphy and Asphyxia. I’m sure I’ve missed a bunch of people and if I have, just know I probably adore you too and just have a terrible memory! Do you have any tips for aspiring writers, especially those who are worried they will never be published? Perseverance is really a writer’s most important trait. There are so many enormously talented people out there who will never be published. Getting published really is a mixture of luck, timing and tenacity. Keep going, even when it seems hard. And look for mentors. I’ve had so many incredible writers in my life, building me up and supporting me and I would not be here without them. Enter competitions to connect with mentors, approach the TWC (or your local centre) to connect you with established authors, attend festivals, conferences and networking events and chat to authors who you think share your philosophies and see if they might be open to mentoring you (of course, take no for an answer if they’re reluctant and be respectful of their boundaries at all times). Writing the manuscript is only one small component of the journey towards publication. Of course it’s important – so be very proud of yourself if you’ve done it – but it’s only the first step. The step you take next is equally important, and the next, and the next. Don’t give up (unless, of course, it’s the right thing for your own self-care). Persistence does pay off.